Dealers don’t have to meander through the lanes or go on their smart devices for significant spans to know the spring market is in full bloom. How long it might last is the question Black Book looked to answer in its newest Market Insights report. Editors indicated spring activity continued to roll on this past week, with four specific car segments and three truck segments generating the most price activity. However, Black Book executive vice president of operations Anil Goyal doesn’t suspect that lane intensity will continue too much longer. “The spring market continued to show strength last week. However, it’s not expected to last long as sales percentages are starting to come down from their peak,” Goyal said in the latest report. According to volume-weighted information, Black Book determined that overall car segment values increased by 0.29% last week. That’s more than triple the average increase spotted during the previous four weeks; a reading at just 0.09%. Among those cars, editors noticed full-size cars increased the most, rising by 0.76%. But sporty cars, subcompacts and compact cars weren’t far off that pace as each segment jumped by at least 0.53 percent. In the truck space, minivans, midsize crossover/SUVs and small pickups generated the highest increases, climbing by 0.59%, 0.55% and 0.54%, respectively. Furthermore, Black Book’s lane observers stationed at nearly 60 weekly sales nationwide collected anecdotes that further showed how the 2019 spring market is unfolding. ADESA said Tuesday morning it has launched ADESA Simulcast, which will replace its ADESA LiveBlock platform. ADESA Simulcast, which is powered by Auction Frontier’s cloud-based auction simulcast solution Velocicast, is rolling out on ADESA.com, ADESA.ca and the auction company’s mobile app. The ADESA Sacramento and ADESA East Tennessee auction locations have already transitioned from ADESA LiveBlock to ADESA Simulcast, with the rest of the company’s U.S. and Canadian auctions set to transition by the end of June. “At ADESA, we are investing in a more seamless, efficient customer experience by accelerating the modernization of our simulcast marketplace and ADESA.com,” ADESA president John Hammer said in a news release. As Hammer shared, the changes go beyond a new name. In a phone interview, Hammer said customers may recognize the Velocicast product from other auctions that use it, which can make the transition a bit easier. Hammer also said the new ADESA Simulcast has greater “interactivity” between buyers and the actual lane. For instance, there is a live chat feature. Another interactivity feature is from the auction block side, as Hammer said the auctioneers and clerks have “much more useable” features, as well. For example, the technology allows for the auctioneer to tell when the buyer has the mouse positioned over the bid button. He also mentioned the various applications that ADESA has, like ADESA Marketplace and ADESA.com. Previously, buyers had to switch back and forth between those. LiveBlock was in a different app itself. With the transition to ADESA Simulcast, everything is integrated and in one place, Hammer said. LiveBlock Auctions International, a business unit of ADESA parent company KAR Auction Services, had provided the simulcast platform for ADESA.com. The technology behind the ADESA Simulcast platform is powered by Roseville, Calif.-based Auction Frontier. Scott Suchomel is the company’s president. “At Auction Frontier, we have made a real effort to understand this industry and the evolving needs of consignors, auctions and buyers and how they interact,” Suchomel said in a news release. “Making the customer’s business priorities core to our technology offerings helped us to quickly become the leading auction simulcast provider. While edging lower on a sequential basis, Black Book’s Used Vehicle Retention Index for March came in higher than a year ago, reflecting how the ongoing spring market has behaved. On Tuesday, Black Book released its index for March, and the reading stood at 113.8, representing a 0.6% dip from February when it was 114.5. Editors pointed out the index is 1.7% higher than where it was a year ago when the reading sat at 112.0. Black Book explained the index has reflected a late start to the spring selling season, dropping each month since November. Editors noticed SUVs and luxury vehicles showed the largest declines in March with minivans, compact and midsize cars, as well as small pickups having modest gains. Black Book executive vice president of operations Anil Goyal pointed out that market-share changes reflect a continued shift away from cars and toward more SUVs and pickups. “While the economy continues to expand, higher supply of used vehicles and affordability issues have continued to become headwinds for the industry,” Goyal said. “The spring market is expected to provide a quick jolt to the market during April, but we expect the Index will feel the effects from slower retail demand of new vehicles that could lead to higher incentives,” he continued. The index dates to January 2005 when Black Book published a benchmark index value of 100.0 for the market. During 2008, the index dropped by 14.1% while during 2016, the index fell by just 6.4%. During 2011, the index rose strongly from 113.3 to 123.0 by the end of the year as the economy picked up steam and used vehicle values rose higher. It continued to remain relatively stable, rising slightly until May 2014 when it hit a peak of 128.1. To obtain a copy of the latest Black Book Wholesale Value Index, go this website. Clarke has served for 25-plus years in the automotive sector and has worked in just about every area of the remarketing industry, according to ARI. Clarke has worked as a buyer, seller, and consignor of vehicles. He has also partnered with auctions, dealers, and online sellers. A giveaway of a new 2018 Tesla Model 3 AWD was one of the highlights of an 18th-anniversary celebration and sale on March 13 for Dealers Auto Auction of Idaho. In other auction news, Copart added 44 acres to its Chicago South facility, located at 89 E. Sauk Trail, Chicago Heights, Ill. As a result of the expansion, the facility is now 80 acres, which the company says will help with market growth. Regarding the Dealers Auto Auction of Idaho news, hundreds of dealers attended the event, and Kendall Superstore of Nampa, Idaho won the Tesla. Buyers and sellers who participated in a DAA Idaho promotional lane were eligible for the prize. The anniversary sale featured more than 600 units, including additional free in-lane perks, food and festivities. By adding two double blocks, Dealers Auto Auction of Idaho doubled its capacity last year. The expansion allows all four lanes to run four streams of vehicles simultaneously. The sale, located just west of Boise, runs about 500 units each Wednesday, with weekly participation from more than 250 dealers in addition to more who attend online. An annual mid-summer classic car auction with nearly 100 vehicles is another DAA Idaho event. In 2017, the sale attracted national attention as the auction ran more than 65 classic vehicles from an Idaho farmer’s collection and more than 100 total vehicles with a 96-percent sales rate. The national TV program Strange Inheritance featured the auction prominently in covering the event. Country entertainers Aaron Tippin, Restless Heart, and Ira Dean performed at last year’s concert. Tracy Byrd will perform on the evening of July 30 for this year’s sale, which will take place July 31. Auction Management Solutions president Tom Stewart congratulated the entire DAA Idaho team on the anniversary event. DAA Idaho is also a member of AMS Auction Network created by AMS, an automotive consulting firm with a network of 23 independent auto auctions across the U.S.
Auctions are held every Friday at noon central time at the location. Eligible buyers can bid on current inventory using its proprietary online auction platform, VB3 or at kiosks at the location during normal business hours. “I am thrilled that we will be able to meet our client needs with the expansion of this yard,” Copart Chicago South general manager Don Winn said. Lynnway Auto Auction and its president James Lamb have each been indicted by a Massachusetts grand jury on five counts of manslaughter, stemming from a fatal 2017 crash at the Billerica, Mass., auto auction. That’s according to a news release from the office of Middlesex District Attorney Marian Ryan, which said the Middlesex Grand Jury on Thursday returned direct indictments of five counts of manslaughter against Lamb and five counts against Lynnway. The Middlesex District Attorney’s Office, Billerica Police Department, the Massachusetts State Police Collision Analysis and Reconstruction Section and the Occupational Safety and Health Administration investigated the crash, which involved a 2006 Jeep Grand Cherokee that “entered the auction showroom at a high rate of speed and drove into the designated pedestrian area striking several people, and crashed through the cinderblock wall,” the news release said. The indictments represent one count for each fatality that stemmed from the crash, which occurred on May 3, 2017. Two victims were pronounced dead on scene, and another was transported to a local hospital and subsequently died there from her injuries, the news release said. Nine others were taken to local hospitals. An additional two victims died later from their injuries. “These indictments allege that the company and Mr. Lamb are criminally responsible for willfully, wantonly and recklessly failing to take appropriate actions that could have prevented the death of five people,” the district attorney’s office said in the news release. “After an extensive examination of the crash, investigators determined that Lynnway Auto Auction Inc. and James Lamb, who was responsible for day-to day operations, were aware of shortfalls in the safety measures in place at the auction facility and that they failed to ensure that all drivers were properly licensed and trained,” it continued. The driver of the vehicle involved in the crash will not face charges, the DA’s office said. The driver did have an expired driver’s license, but Massachusetts law allows individuals to drive vehicles on private property even if they don’t have a license. “The Lynnway facility is not a public way; therefore the Commonwealth has determined that it would not be able to meet its burden of proof beyond a reasonable doubt that the driver of the vehicle acted recklessly, and therefore he has not been charged with manslaughter,” the DA’s office said. More details are available in the news release from the DA's office. It was reported in Auto Remarketing last week that Lynnway Auto Auction had been purchased by America’s Auto Auction. Details on that acquisition are available here. A company description for KAR Auction Services states that it offers “innovative, technology-driven remarketing solutions” to the global wholesale used-vehicle industry. Now, the company’s Insurance Auto Auctions business is making an investment to take that innovation further. In what the division is describing as “an insurance claims and remarketing industry first,” IAA is investing in an innovation hub at “1871,” which IAA states is the largest technology incubator in North America. The 1871 site is located in Chicago’s Merchandise Mart, and as part of that site, IAA Engine House will be “an ideation and development center,” IAA said. At that site, IAA employees will engage in collaboration with educators, investors, mentors, technologists, buyers and sellers. 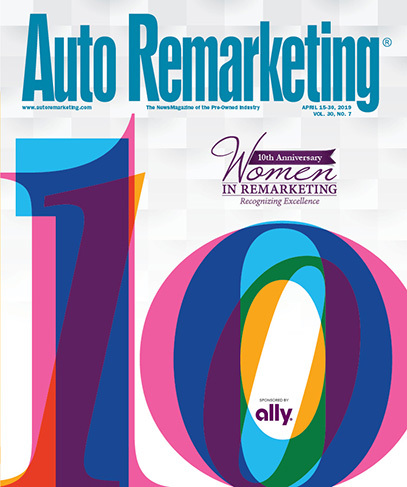 “Our insurance and automotive remarketing customers require solutions that help them decrease cycle time, increase efficiency, make data-driven decisions and, above all, improve their economic returns,” IAA chief executive officer and president John Kett said in a news release. “We are making strategic investments to help fuel more rapid progress in the industry," Kett continued. "Being in an environment where we can share ideas and collaborate with universities and startups that are advancing technology gives us the advantage to lead the innovation of our industry. "We can work to enhance our current technologies, but more importantly, to develop the solutions of the future," he went on to say. The location, 1871, consists of 140,000 square feet of collaboration space. More than 1,000 inventors, designers and creators and more than 500 startups call 1871 home. The space includes various industries, and representatives of those industries share advancements and findings. A rotation schedule of up to 20 Insurance Auto Auctions employees at a time will help as many IAA employees as possible gain exposure to the culture and shared knowledge at 1871. Each year, IAA will have access to more than 350 mentors and 1,000 events and learning programs. Activities such as client meetings, ideation sessions and product development and launch gatherings will take place at Engine House. “IAA Engine House at 1871 will help us to foster a culture of innovation, generate ideas and launch them to full-fledged products or solutions — all while exercising an entrepreneurial spirit,” Kett said.